The MV Rainbow Joy, a South Korean-registered general cargo ship, rammed a fishing boat off Ligid Island in Davao City on Saturday, causing the smaller vessel to sink instantly. All 11 crew members of the fishing boat Raisa survived the accident. 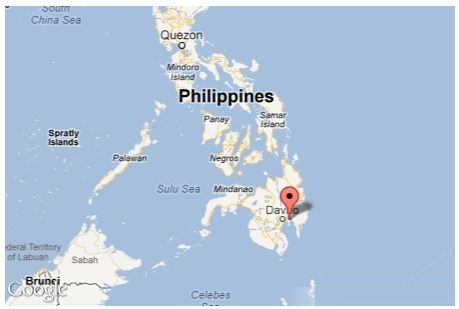 The accident happened on a few nautical miles off Davao City, Philippines. The fishing boat changed suddenly its course and crossed the road of the cargo ship, which rammed it. The fishing boat Raisa immediately sank and all its crew fell in the water. The local authorities and the Philippine Coast Guard started investigation of the accident and detained the general cargo ship before clarification of the circumstances. The local authorities will get witness evidences from the skipper of the fishing boat and all the officers of the cargo ship.